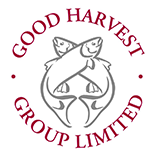 Good Harvest Group Limited is based in Eastcote, Middlesex and was established 1996. The Group is financed by the shareholders both from the United Kingdom and Jersey. Property advice is provided by Leighton Goldhill Chartered Surveyors established in 1947, well known in the office and industrial property sectors and recognised for their hands-on approach. There is therefore an excellent combination of financial and property expertise. We have over the years managed our portfolio, buying carefully and selling well. Our preference is for modern and preferably well specified buildings in Central London, the best London suburbs and other strong office locations in the South East. The properties must have good quality floor plates or be capable of an upgrade to produce them. Period buildings are not wanted. They must be capable of producing today’s space, although the ability to cool or install raised floors is not essential. We look for buildings that are let, part let, short let or vacant. We are particularly interested in tired buildings in need of upgrade, either redecoration, refurbishment, including partial redevelopment and those needing intensive management. Reasonable capital values per square foot are important. We will consider both freeholds and leaseholds, reversions, and properties where the occupational lease is close to expiry. Industrials – Multi-let estates or stand-alone buildings built after 1970 in good locations in the South East. Other regions will be considered, provided they have a strong industrial base, such as Manchester, Liverpool, Bristol and similar. We seek buildings in the £1m to £10m range plus portfolios of up to £50m. Our optimum lot size is £5m. We will consider joint ventures. Good Harvest is not driven by initial yields and does not have target IRRs. We have insignificant HQ costs and salaries to pay and will be very aggressive for the right property. Currently Good Harvest Group has no borrowings, but has access to Bank Finance facilities and funding provided by our equity investors to expand the portfolio.